Peak is a fully integrated supplier with extensive in-house engineering and design resources. We take pride in our ability to take projects from Concept, through Materials selection to Rapid Prototyping to achieve your engineering and design goals. 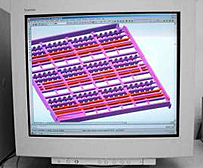 100 Designers with full knowledge of CAD, tooling, materials, etc.